The history of economics involves private entrepreneurs producing goods for their own consumption and trading the surplus with other entrepreneurs. It also involves entrepreneurial and inventive types who studied nature and used naturally occurring precedents as a method by which to increase output by making physical work more efficient. The result was the appearance of a range of technologies that made work more productive. Inventors learned to make productive use of the flow of river water to drive waterwheels that in turn drove the machinery of production, use the wind to propel boats, and countless other innovations. In ancient Egypt, the animal-powered Archimedes screw mechanism lifted water from the Nile River to help irrigate farms. In medieval Holland, a windmill-powered water pump could transfer as much water as a herd of animals powering Archimedes screws. By the early 19th century, inventors had improved the design and efficiency of water turbines and also developed high-pressure steam engines. The technology that was later to drive electrical generators was already well proven before the end of the 19th century, the result of private entrepreneurs and inventors who used private capital to develop or improve technology. The idea of government putting itself in the leading role of future technology development as a possible basis for future economic development was dismissed as impractical even as late as the mid-20th century. But governments nonetheless continued to use such ideas as a basis for future policy. They introduced technology development programs and provided funding for industries and universities to undertake research to improve existing technologies or to develop new technologies. The new technologies were believed to be the basis upon which to develop new factories that were to employ large numbers of people. During the 1990s, government agencies poured massive amounts of funding into developing the technology and information sectors. This gave rise to the high tech boom that culminated in the dot-com meltdown. Then government officials sought to develop a housing boom that subsequently culminated in a stock market meltdown. Other governments chose the renewable energy sector as the means by which to spur new economic activity and clean-sector industries that were to be the basis of new employment. Governments in Germany, Spain and even the USA put themselves in the driver’s seat of the green energy revolution. Many years ago, governments began to nationalize electric power generation. During the mid-1960s, then-Quebec Minister of Energy Rene Levesque nationalized privately owned hydroelectric power dams across Quebec. He dreamed of building massive hydroelectric installations in the James Bay region. A decade earlier in the UK, the central government in London nationalized electric power generation and then developed nuclear power stations. 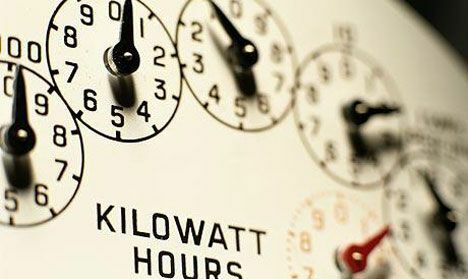 Governments could sell the idea of public ownership of the means of electric production to the general population by accusing the private owners of profiteering and then promising cheaper power rates. State ownership and regulation of electric power generation and distribution included the prohibition of private landowners from connecting private power lines across shared property lines. Many jurisdictions did allow private landowners to generate electric power for their own use on their own property, upholding a rural tradition from an earlier period. In many rural areas, private landowners used windmills to pump water, generate electricity or drive machinery, while other landowners installed waterwheels on streams that flowed through or next to their property. Other landowners owned small steam engines fueled by wood or other biomass that could drive farm machinery. Most of the power generation technology of the green energy revolution existed long before government officials ever formulated the ideology of a green energy revolution that was supposed to create an abundance of new employment opportunities in such nations as Spain, the USA and even parts of Canada. Solar PV panels were the only ‘new’ technology, and had previously powered handheld calculators for at least 20 years. Government officials somehow convinced themselves that by being able to directly influence the development of new technology along with the production, application and market for the technology, they could develop a sustainable sector of the economy that would create new wealth and provide employment. The feed-in tariff or FIT was a central method by which governments intended to control and regulate the green sector power market. Government-owned power utilities bought the green energy from multiple small producers at rates that exceeded the market price of electricity coming from older mega-scale power stations. Producers of wind and solar PV technology were assured of a market for their products and set prices for their technology that reflected the illusion of a secure long-term market. But the charade was unsustainable in many jurisdictions, including Spain, Iceland, Ireland, and even several jurisdictions across the USA. Even in Ontario, which has the biggest government-owned power utility in North America, the combination of nuclear and old generation hydroelectric power accounts for over 90% of electrical power production, with the power utility paying outside utilities to take delivery of excess nuclear power generation. A regulation-free, private sector ‘green micro-revolution’ that operates free from any kind of government involvement is underway in mainly rural communities in many developing nations. Improved designs for stoves burn a fraction of the biomass used when placing pots on open flames. Solar technology involves low-cost solar PV panels that recharge small batteries to operate super efficient LEDs (light-emitting diodes) that provide indoor lighting at night. Efficient micro-hydroelectric power generation operates next to many rivers in parts of Asia where power generation is entirely a local matter, often not involving any government agency. Many governments across Western Europe and North America own and regulate the production and distribution of electric power. They also have provided funding for research into developing new power generation technologies and improving older green technologies for which they intended to create a market and indirectly create new jobs through a green energy economy. But despite massive government assistance, the green genie has delivered very little in terms of sustained economic growth while generating only a miniscule amount of electric power. Fiscal pressure has since prompted some governments to begin to withdraw from the green energy revolution.